Superstars of different spheres of creativity, countries and ages gathered the President of MISS EURASIA FESTIVAL Leonid Karatygin in Granada Luxury Belek hotel for the Jury-2017: from Russia - the performer of the legendary role of Mikhail Krug in the eponymous serial Yuri Kuznetsov-Taezhny and mega-stars Instagram of Sveta Bilyalova (5.5 million subscribers) Anna Kozlova (1.6 million), Victoria Chemaeva (700 thousand), led by Ramaz Mesheladze - the official representative of the magazines "MAXIM", "Fashion House", "Mens Health", "Elle", many others. From Kazakhstan came the star of the stage - the winner of the New Wave-2015 singer Dinara Kairova (ADEMI); from Costa Rica - the legendary singer and creator of the first fashionable Moscow clubs Nikolay Tishkov. The decoration of the Final show was the performance of a super-fashion rapper from Germany BABY BROWN! The highest Jury was chaired by the Secretary General of the Eurasian Tourist Organization (ETO), Vladimir Piskurev, and the superstar, Winner of Miss Siberia, Miss Fashion TV, Miss Tourism QUEEN International - Olga Karatygina! The exclusive prerogative of a truly status-based international beauty contest - is the holding of CHARITY PARTY, - during which the participants of the contest present their special gifts and souvenirs to the President and members of his team, special guests and partners-members of the Jury of the contest, tell about themselves, their Country, the Republic. Live direct communication allows you to learn more about each other, get closer, which is especially important on the eve of the Grand Final Show! 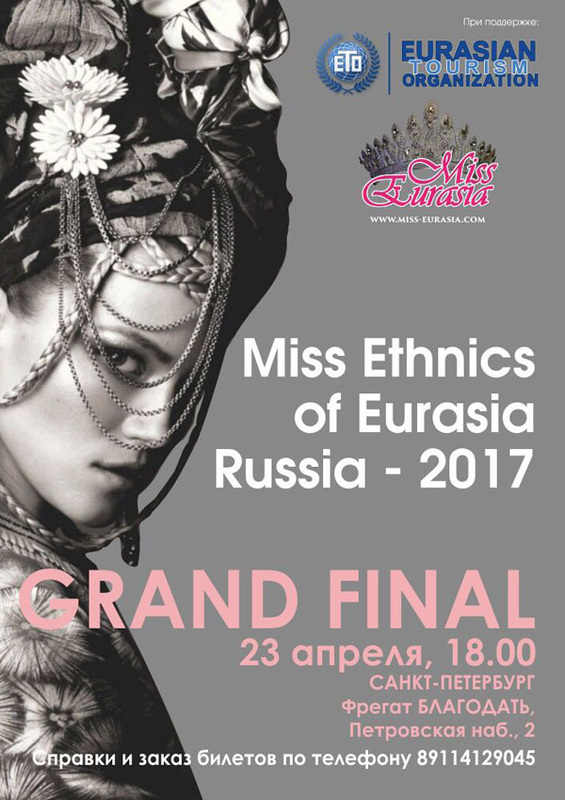 One of the main Title the Festival MISS EURASIA - Miss TALENT!